Travel to Iceland Like a Pro! Iceland can offer an abundance of experiences to a traveler: beautiful nature, tasty cuisine, and inspiring art and culture. Prepare for your trip, and you will be able to get the most of it. Our short list of essentials has been specially designed to teach you the essentials of Iceland travel. The native language in Iceland is Icelandic, but a lot of Icelanders speak English. The Icelandic monetary unit is the krona, abbreviated to Kr or ISK. All major credit cards are widely accepted, and money can be exchanged at the airport, banks or currency exchanges. We suggest using a debit card at an ATM to obtain cash; it is the least expensive transaction, and ATMs are located all over the country. You will need cash for public buses to travel in Iceland. The country code for Iceland is 354 (if you are calling Iceland). To make a call from Iceland, dial 00 before the country code and phone number. The following mobile systems can be used in Iceland: GSM900 and 1800, 2G, 3G and UMTS 4G. Iceland uses the European current of 220 volts, and the plugs are the European rounded two-pin plugs. Passports, in general, have to be valid three months after your return date of your trip. Internet access is available almost everywhere and is mostly free in hotels and guesthouses. There is no rail or subway system in Iceland, but bus service is extensive in most cities and town. You will need cash for the buses. Many hotels, restaurants and larger department stores are wheelchair-accessible. All taxis accept credit cards and have to be reserved in advance. Some cities and towns also have taxi stations where you can request a car. The airports also have taxi stands. Iceland is on Greenwich Mean Time (the same as London) and does not adjust to daylight savings time. The tipping policy in Iceland is similar to the rest of Europe. Gratuity is always included in the bill everywhere and therefore is not required (restaurants, taxis, cafes, room service, etc.) You may tip if you feel you have received outstanding service, and Icelanders will appreciate it and accept it. The refund for VAT tax on items purchased in Iceland may be claimed in the departure hall at Keflavik airport within 30 days of purchase. The coldest part of Iceland is its name! 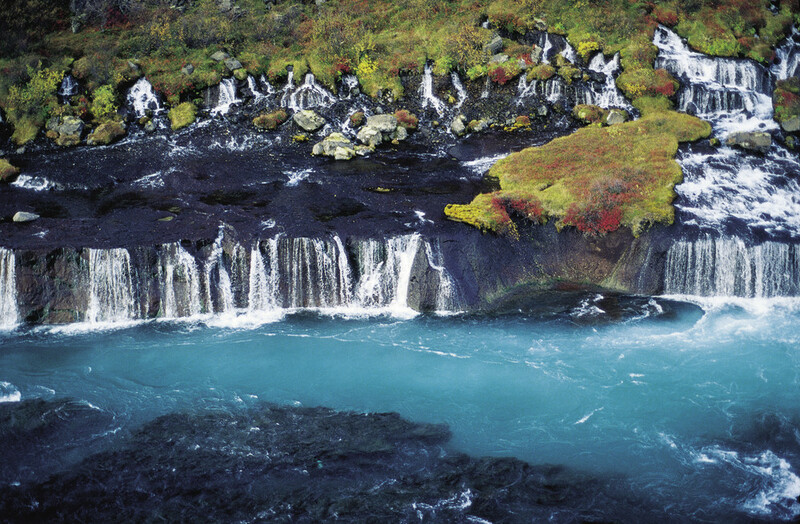 Iceland is warmed by the Gulf Stream which provides a temperate climate year-round. The weather will frequently change due to the Gulf Stream coming in contact with colder Arctic air. The Icelanders will tell you, “ If you don’t like the weather, wait 15 minutes, it will change.” You will rarely see snow in the lower elevation even in winter, but be prepared for the wind. Winters are quite mild with an average temperature of -0.5 C or 31 F, similar to New York City. In the summer, the average temperature is 11 C, or 53 F, with almost 24 hours of daylight. The best way to dress is to layer your clothing, regardless of the season. Bring a windproof raincoat, good walking shoes or light hiking shoes if you plan on spending any time outdoors. In the winter, bring a warm overcoat, hat, scarf, gloves and socks preferably made of wool, a sweater, and thermal long underwear as well as fleece. In the summer, bring a light, windproof raincoat. Don’t forget the bathing suit for all those geo-thermally heated pools and lagoons. Book with us and your travel to Iceland will become an unforgettable adventure!